Making a movie is hard work, and a lot of great fun, too. We hope you enjoy some of these behind the scenes moments of the stars and crew. "Dog" (1979) was Barry's first film, and the inspiration for Sniff. It played in theaters as a short ahead of Odeon features. 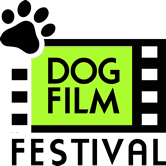 Come early to meet some of our dog film stars!